Is humanity ready for the coming Singularity? Speculated on by futurists everywhere, how will mankind cope when AI becomes self-aware and conscious? All hail our new robot overlords. 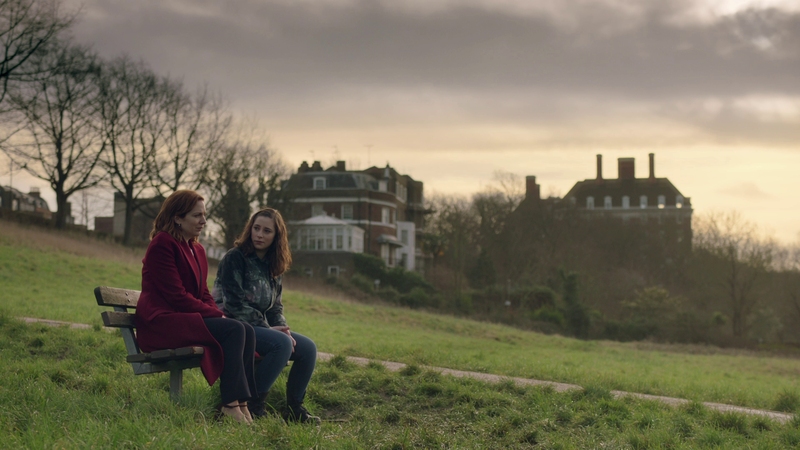 Seriously, the British television show Humans has been tackling these issues in a thoughtful and almost disturbing manner the past three years. In that time Humans has been one of the smartest and most intellectually daring shows on the air, exploring how current society would deal with the rise of intelligent robots. This third season sees the world learning to cope with the growing synth community and their demand for recognition as sentient beings. Airing on AMC in the United States, Series 3.0 tackles the ramifications of the traumatic Day Zero event seen last season when every Green Eyed synth across the world developed free will and became conscious. Now one year later, the government is struggling to deal with self-aware synths becoming a political force of their own and running amok. 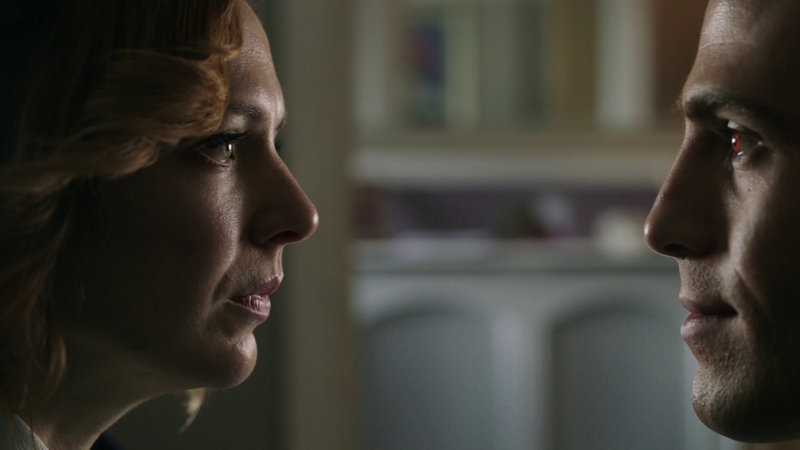 Lawyer Laura Hawkins (Katherine Parkinson) fights for the rights of synths while attempting to mend relations in her broken family life. Her daughter feels guilt and remorse for causing Day Zero, which killed thousands of humans. 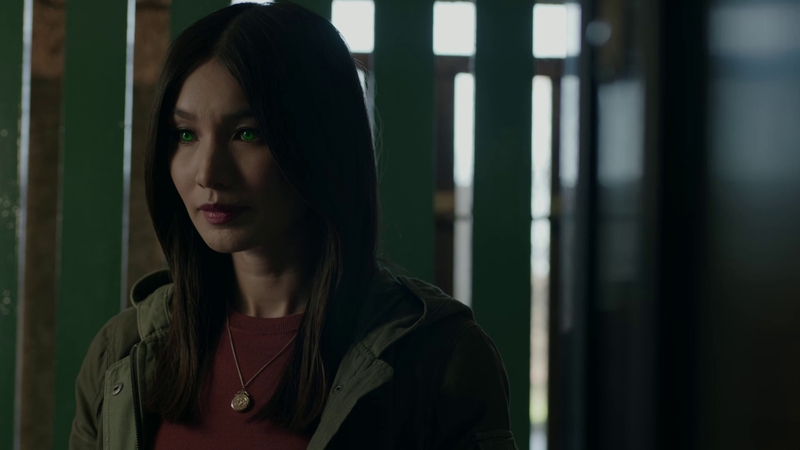 Returning synths Mia (Gemma Chan, Crazy Rich Asians) and Max (Ivanno Jeremiah, Black Mirror) run a settlement for sentient synths. Max’s leadership is tested in his new role as internal factions develop within the new synth community. 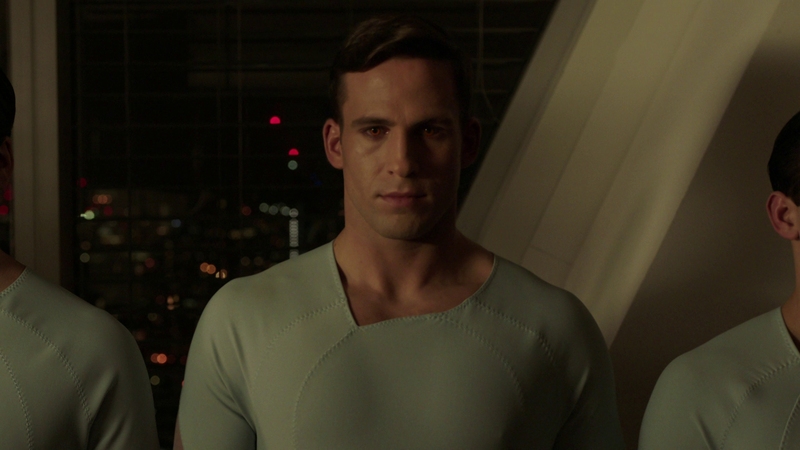 Human-synth hybrid Leo (Colin Morgan) digs into his past for answers. 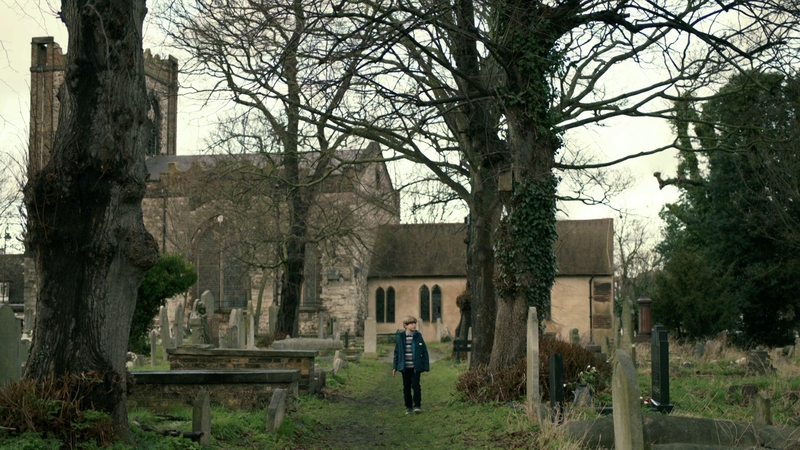 Niska (Emily Berrington) strikes out on her own, exploring the meaning of life and death for a synth. It will take her down a dark and troubling path. 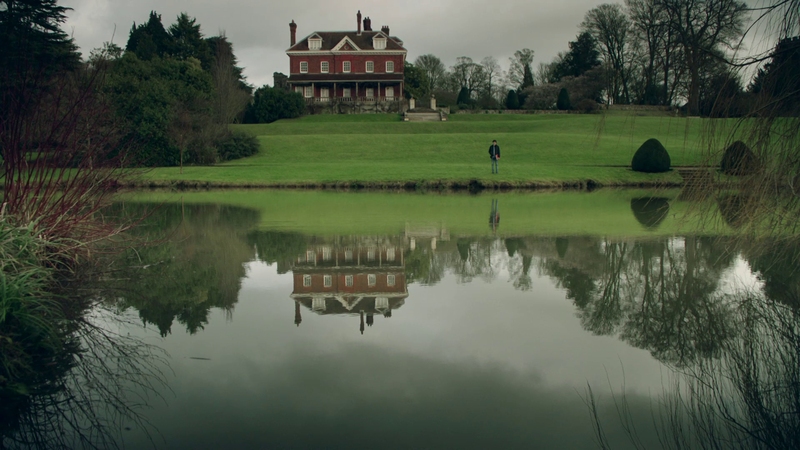 If you haven’t caught Humans yet, it makes no sense jumping into Series 3.0. 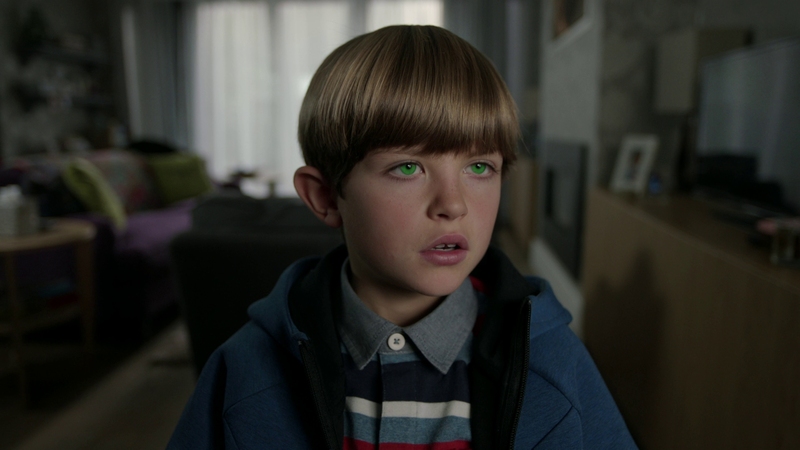 Humans is heavily serialized sci-fi drama that emphasizes character-driven storytelling. Start the gripping drama from the beginning. While characters come and go, the original group of synths and the Hawkins family star in all three seasons. 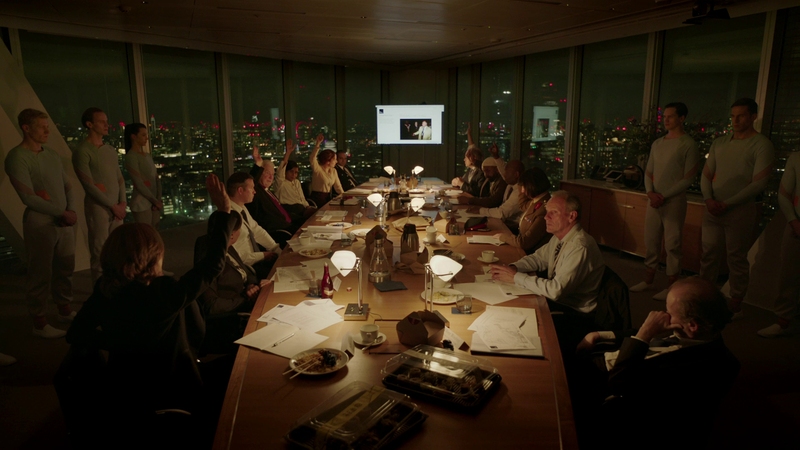 Humans 3.0 logically delves into the political, social, and legal challenges society would face if millions of robots all became aware at once. The show has always been ambitious and expands its narratives to wider conflicts within society. The sociopolitical allegory is hard to miss as the synths fight for their rights and their attempt to carve a place out in human society. Violence, sexuality, and family life have all been thoughtfully examined through this lens. It’s the logical culmination of everything that has happened in this richly-imagined drama. You might even call the show propaganda for AI, but the producers have never shied away from showing the dark side of conscious robots causing chaos and unrest in the UK. That is what makes Humans compelling and suspenseful drama. Acorn Media uses the uncut UK broadcast masters for this Blu-ray set. All eight episodes of Series 3.0 are spread evenly over two BD-50s in excellent AVC. 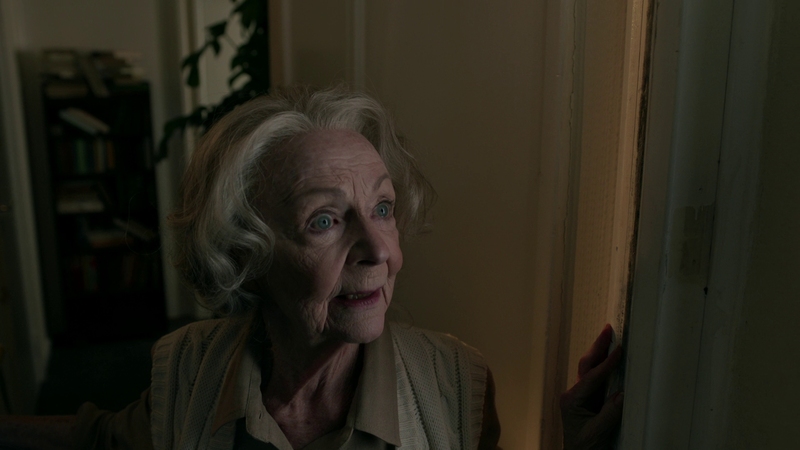 The 1.78:1 Blu-ray presentation improves upon the HD cable broadcast seen here in America on AMC. The finely-tuned digital cinematography emphasizes pristine video with proper color and contrast, if mildly subdued in terms of saturation. 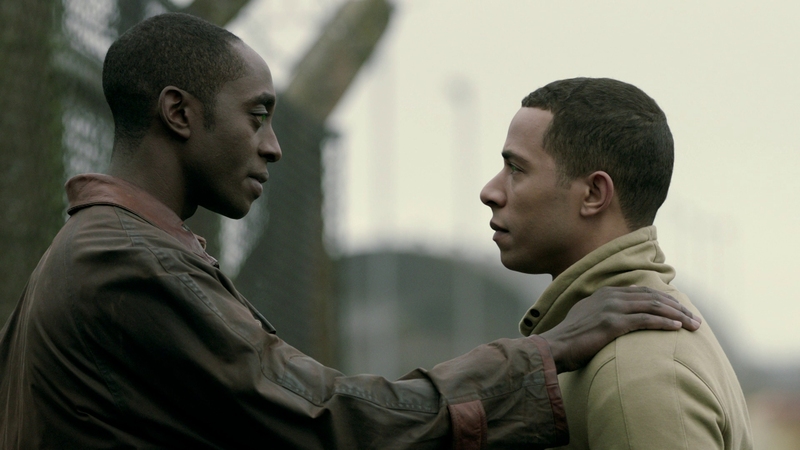 Humans is one of the best-looking television productions going at the moment. Its intended aesthetic offers superior clarity and definition, fitting the futuristic themes. 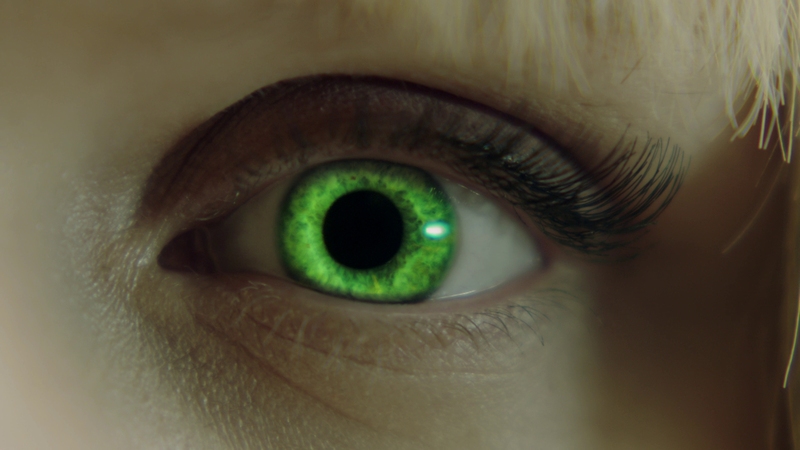 Humans has always looked excellent on Blu-ray and Series 3.0 is more of the same. 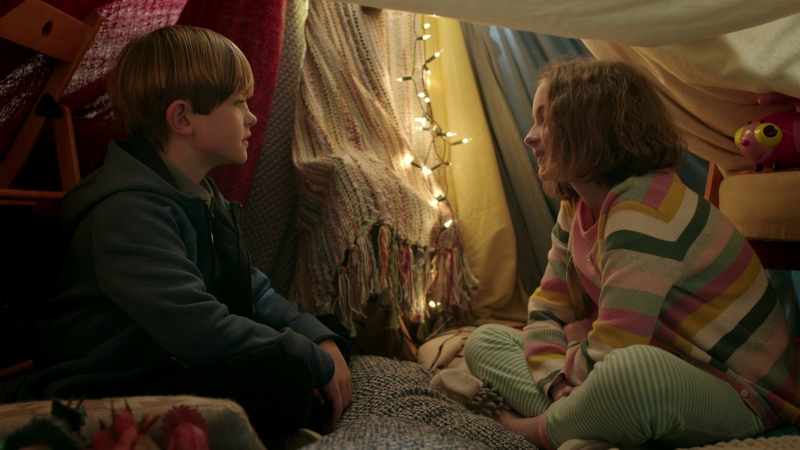 Acorn Media and distributor RLJ Entertainment have given the show an outstanding Blu-ray presentation with an uncanny consistency. The 5.1 DTS-HD MA audio doesn’t offer much surround activity beyond ambient support. The British production does have impeccably recorded dialogue and a clean sound design balanced across the front soundstage. While the lack of immersion is fairly common to television audio produced in the UK, sound effects are convincing and authentic. An understated score fits the smart television show. Optional English SDH subtitles play in a white font and are accessible even on the bonus features. 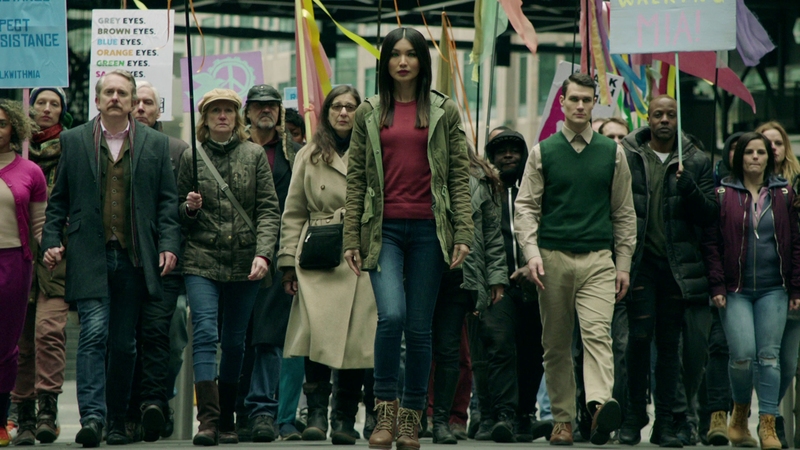 Acorn Media serves up three separate featurettes for this third season of Humans. Cast and crew members discuss the season’s themes, cover background production design and explore the new characters. The two-disc set comes with a slipcover and matches up nicely with the show’s prior releases on Blu-ray. Behind the Scenes of Humans 3.0 (11:38 in HD) – Cast and crew discuss the fall-out from Series 2.0 and how Series 3.0 picks up from the events of Day Zero. Synths (07:06 in HD) – Production members discuss the new design for Orange Eye Synths, their differences from the familiar Green Eye Synths, and more. New Characters (05:20 in HD) – New synths Agnes and Anatole are highlighted in this pithy introduction to key players in Series 3.0. This third season of the UK show intricately delves into the rise of a new synth community fighting for its place in society. Surprisingly taut and dark, it nicely builds upon earlier seasons. The 15 unaltered images below are taken from the Blu-ray itself. For an additional 21 Humans 3.0 screenshots in full 1080P resolution, early access to all screens (plus the 20,000+ already in our library), 75+ exclusive 4K UHD reviews, and more perks, support us on Patreon.